The Setouchi Triennale (also known as the Setouchi International Art Festival) is a contemporary art festival held every three years on a dozen islands in the Seto Inland Sea (Setonaikai), the sea which separates Honshu and Shikoku, two of Japan's main islands. From time immemorial, the Seto Inland Sea has been an important nexus of transportation. Boats from the mainland came and went, bringing new cultures and lifestyles to the islands dotting the Sea. Since then, each island has formed and developed its own unique culture. This rich heritage, along with its beautiful scenery, is still around today, set against the backdrop of tradition. In today’s globalizing world, with increasing homogenization and streamlining, the islands are losing their unique characteristics because of the aging and decreasing of the population on the islands and the decline of the local area’s vitality. The Art Setouchi activities are hold with the aim of returning vitality to the islands of the Setouchi Area, where nature and people harmonize together. The Setouchi Triennale seeks to make the Seto Inland Sea a “Sea of Hope” for all of the regions of the world. By the realization of art created through the collaboration of modern artists, architects, and local residents Art Setouchi aims to bring about new discoveries in the workings of daily life, attract people from all over the globe, and become an opportunity for local citizens to interact with the world. The Art Setouchi blends the folk customs, entertainment, festivals, and regional characteristics that have transcended the ages with the art, architecture, and drama that evoke the feeling of our contemporary times. The Art Setouchi seeks to create an opportunity for a return to vitality of the citizenry, particularly the elderly populations of the islands. With those islands as a stage and through elements of life related to art, the Art Setouchi is endeavoring to make the most of the unique customs fostered there by focusing on the islands’ lifestyles and history. The project gathers people from throughout Japan and the rest of the world – regardless of age, region, or genre of their work – in order to interact and cooperate with the local population, including the young people and children who will bear the charge of leadership in the coming generations. The process of holding the festival is aimed to act as a driving force in the development of the Setouchi area’s future. 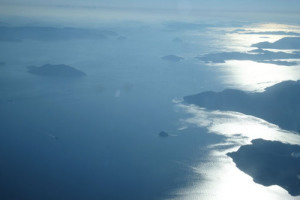 The Seto Inland Sea is surrounded by the three islands of Honshu, Shikoku, and Kyushu in the Japanese archipelago. As Japan’s largest inland sea, it runs approximately 450 kilometers from east to west and anywhere from 15 to 55 kilometers from north to south (depending on the location). 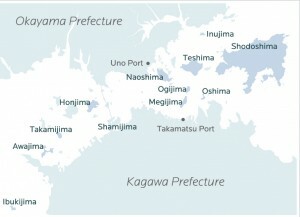 Including the coastal areas, it is also called the “Setouchi.” In 1934, the location centering on the so-called “Bisan Seto” area of the sea, which stretches between Okayama, Hiroshima, and Kagawa Prefectures, was designated as “The Seto Inland Sea National Park,” Japan. The Setouchi Triennale 2016 is calling for site-specific art proposals using the characteristics of each venue. Setouchi Triennale 2016: Call for Art Proposals. During the festival, nearly 150 artworks by artists from Japan and overseas were exhibited on the twelve islands and around the ports of Takamatsu and Uno. Setouchi Triennale 2013: An Art and Island Journey. The Setouchi Triennale is a contemporary art festival that takes place on multiple islands of Japan’s Seto Inland Sea. 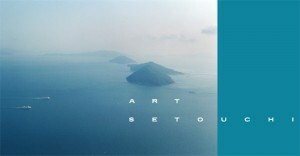 Setouchi Art Triennale 2013: Call for Proposals.